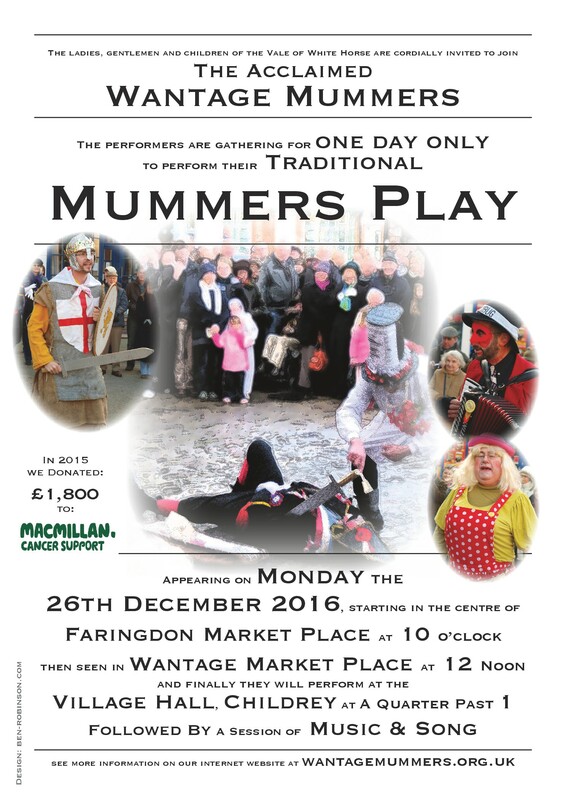 Mummers Plays: What are they? 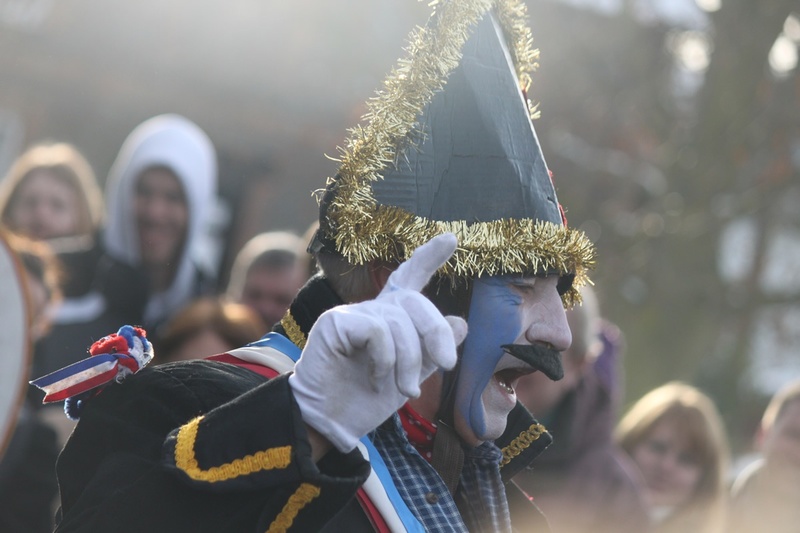 Mummers Plays, or Mumming Plays, are ritualistic performances that might be well over a thousand years old. They are traditionally associated with the Christmas period (Midwinter Solstice). 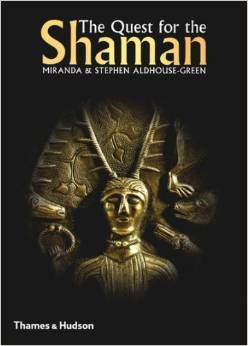 In other parts of the country they are performed at Easter (Pace Egging) and at All Souls Day near Samhain (Soulers). These plays at one time were thought to be linked with pagan rites showing the triumph of life over death (death and resurrection), good over evil. 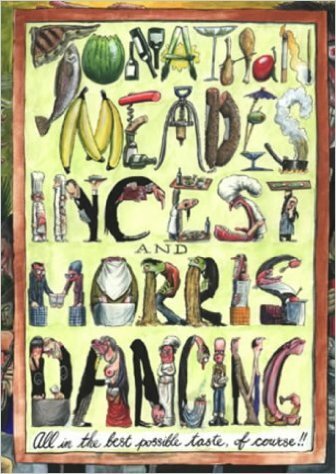 It is now fairly certain that the type of play popular today did not exist before the mid-18th C. Medieval references to Mummers Plays refer to a different type of masked play (Mystery or Miracle plays with a religious basis). Roving groups of players were certainly the stuff of ancient history but it has not proved possible, at present, to link the current plays with these groups. 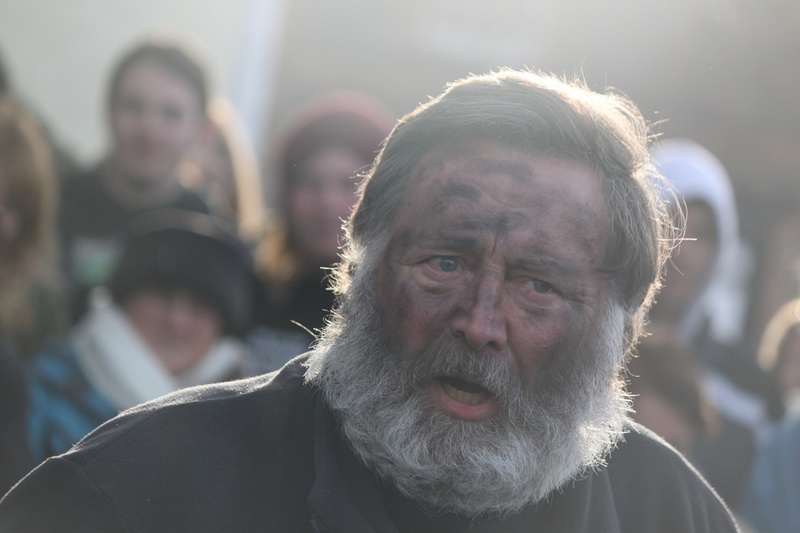 Maintaining the anonymity of the players is a key feature, as villagers thought it bad luck if they could identify a performer. We have performed our Play since its revival on Boxing Day (December 26th) 1975. 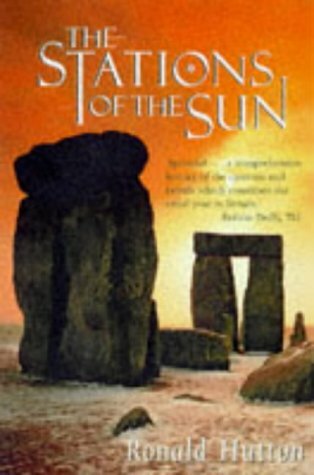 It is based on an old tradition from the nearby village of Steventon in Oxfordshire. 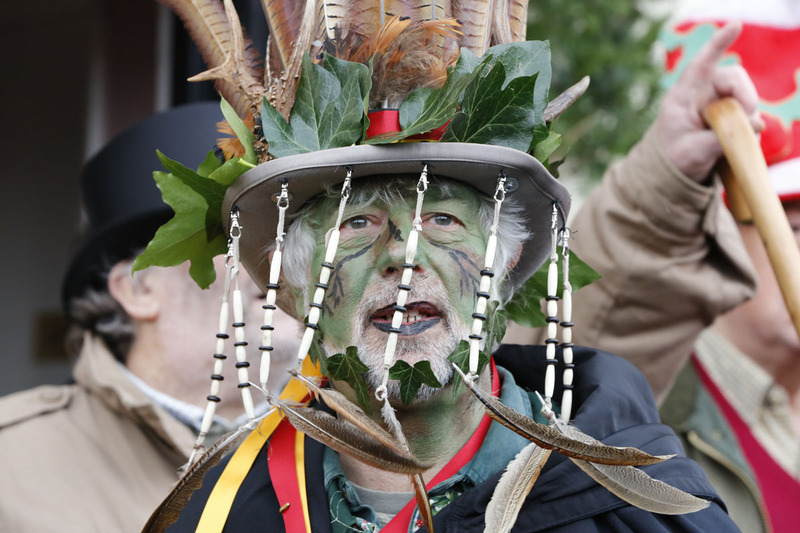 It is a typical mid-Berkshire/ Oxfordshire mummers play of the hero-combat type. 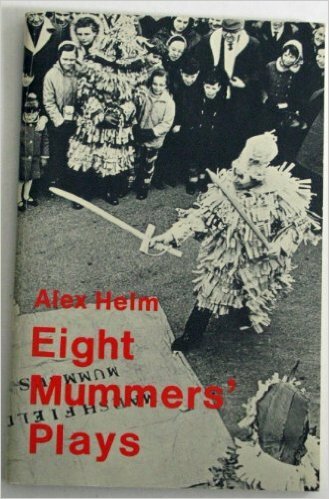 At one time hundreds of villages across England had a mummers play to perform; in fact all counties except Suffolk and Norfolk. The last traditional play performed in this area was in 1881 when it was staged for Lady Wantage at Lockinge House. 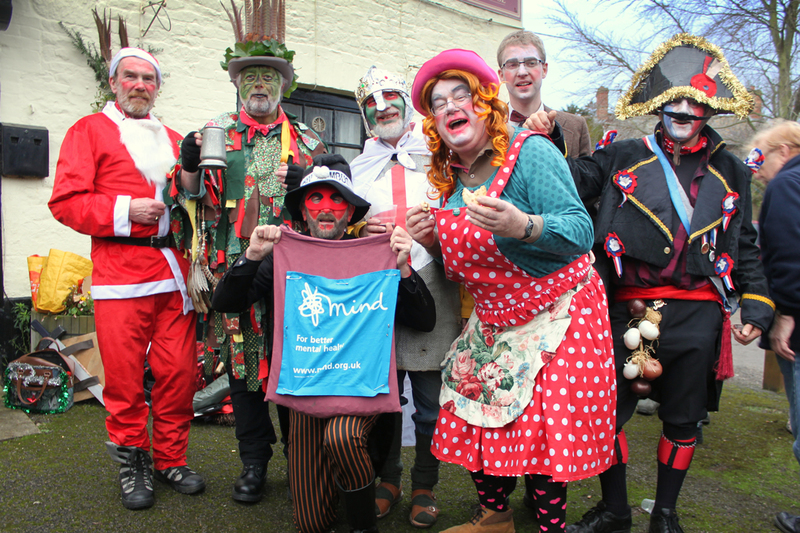 The Icknield Way Morris Men sponsor the Wantage Mummers. Old Father Beelzebub’s Speech for 2018 now available to buy. Proceeds donated to Helen and Douglas House, the main charity supported for this year. Old Father Beelzebub's full account of our play is now available for free. 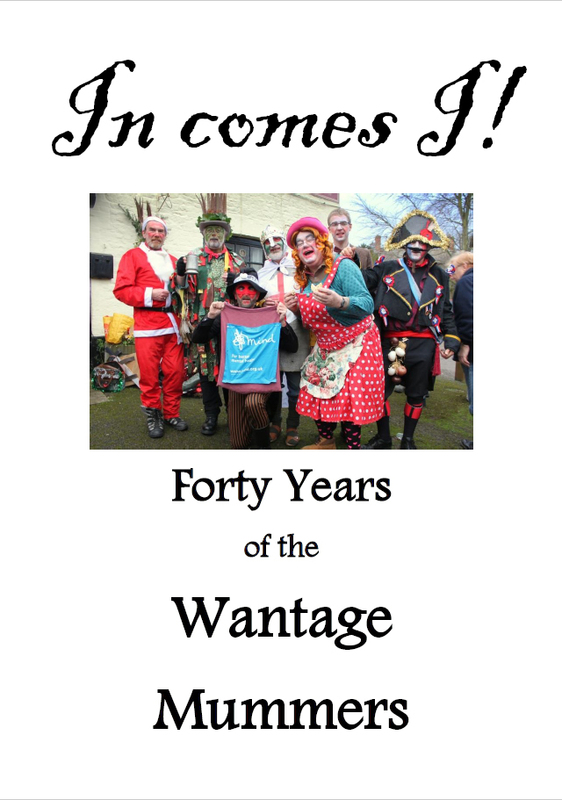 In Comes I: The history of the revival of the traditional Mummers' Play from the Wantage area and 26 years of Old Father Beelzebub's Doggerel. £10 (ex P&P) Proceeds donated to the charity supported for this year. 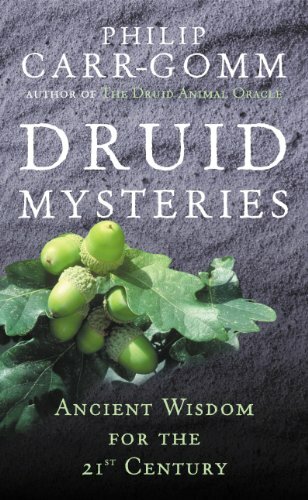 The Yew tree was considered sacred by the Druids, who believed it to represent an emblem of immortality; in view of the nature of Mummers Plays, we considered this an appropriate choice for our web site. Taxol is a naturally occurring substance (a diterpene) found in the Yew tree. It inhibits cell division and it is this property that makes it the basis for the treatment of certain kinds of cancer. Following our successful Boxing Day performances we made a donation of £1750 to Helen and Douglas House; a donation of £250 was also made to Young Epilepsy that included a contribution from Icknield Way Morris Men. To be followed by a session of music and song.